No matter the age of a home, at some point it will need to have upgrades done on its plumbing pipes. For homes built before 1970, this could mean a complete replacement of the piping to eliminate old materials such as lead, galvanized steel, and polybutylene. But newer homes aren’t immune to the need for professional repiping. You may notice leaking from damaged copper pipes, and the best solution to this problem is replacing the old copper with PEX. Until the early 2000s, copper was the #1 type of pipe material used for freshwater plumbing. It almost entirely replaced galvanized steel—it was lighter, more flexible, less expensive, and corrosion-resistant so it wouldn’t introduce toxins into a home’s drinking water. However, PEX (cross-linked polyethylene) plastic pipes are now the standard for freshwater in new home construction. PEX pipes are not only flexible, making them easy to work with and fit into tight spaces, but they’re also resilient and strong. Copper pipes can last for around 50 years, but they eventually do go bad. Copper is corrosion-resistant, not corrosion-proof, and a specific type of corrosion from exposure to formaldehyde can cause copper to weaken early. Leaks from copper pipes are often slow, making them harder to notice. If you detect moldy and musty smells from areas like the bathroom or laundry room, or you start to see discoloration and bulges along drywall, you may have decaying copper pipes. Call a plumber for leak detection services to find out if you have bad copper pipes. 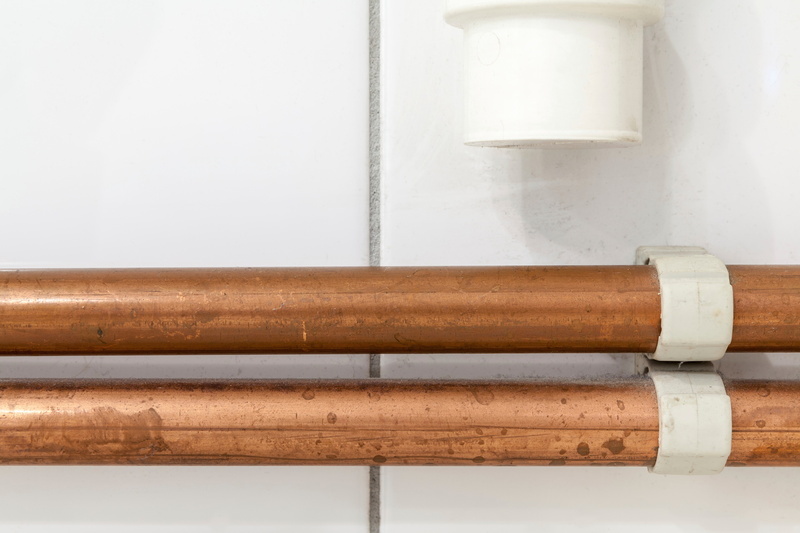 A plumber has a few solutions for repairing damaged copper pipes, such as a spot fix to plug up a leak in the copper or replacing a short run in the copper with a PEX section. However, the best long-term solution is to replace the full copper pipe with a PEX pipe. If you wish, you can arrange with the plumber to completely replace the copper pipes in the room with PEX—or even replace all the copper pipes in the house. Your plumber will help you make the choice that best fits your budget and the general condition of the pipes. You may find online advice and tutorials for putting in PEX pipes yourself. We don’t recommend you try this, however! The piping in your house is extensive, and trying to handle replacements for old copper pipes can create numerous problems if anything goes wrong. A professional plumber can accurately locate the damaged pipes, expose them, and cleanly and quickly replace them with the right type of new materials. Professionals will also make sure there are no electrical grounding issues, which is a danger with amateur work with pipes. We’re local experts in plumbing in Silver Spring, MD and have done extensive work with upgrading pipe materials in homes: everything from a few simple replacements to whole-house repiping. Tuckers Air Conditioning, Heating & Plumbing provides plumbing services in Gaithersburg and Montgomery County. Call us today to schedule leak detection and pipe repair services.